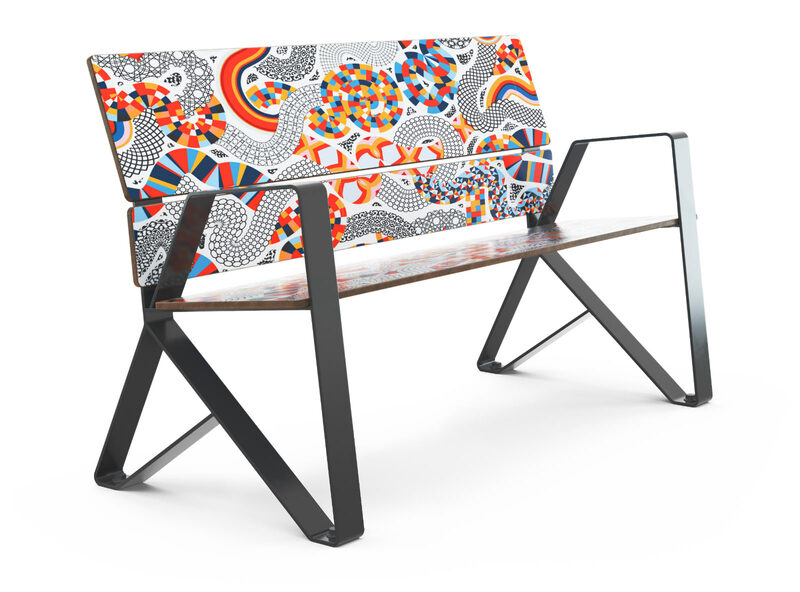 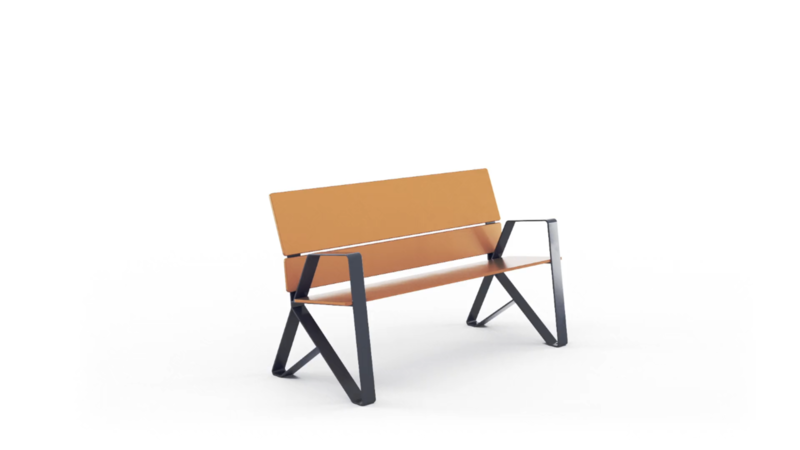 Task: to produce an inexpensive bench. 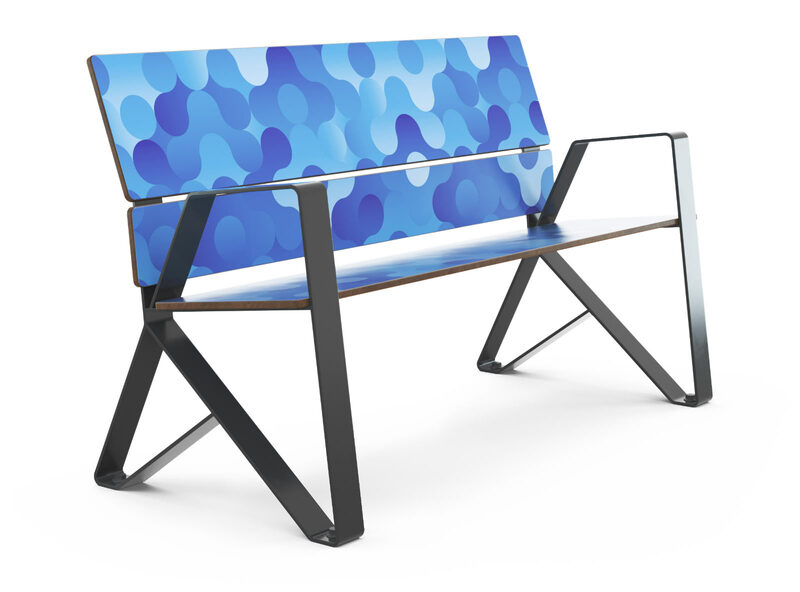 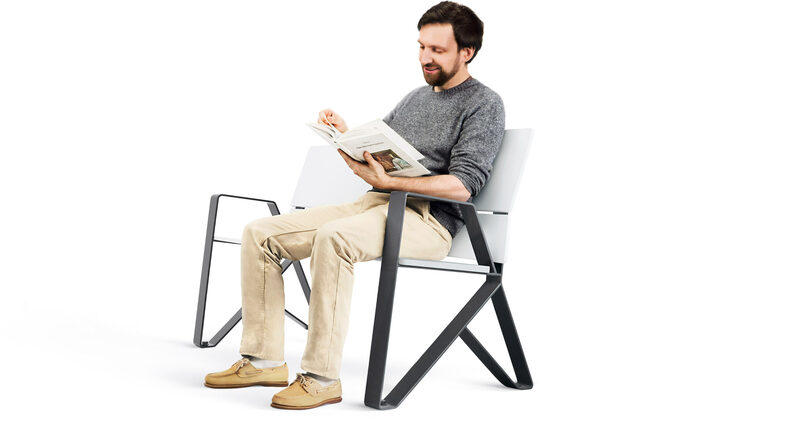 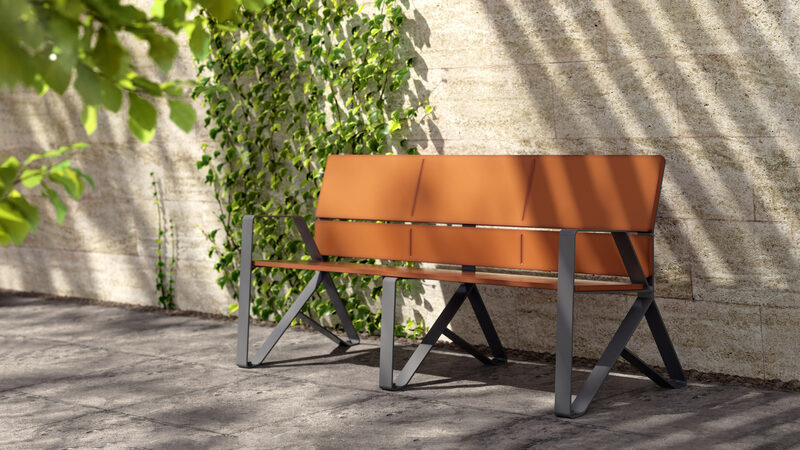 The back and the seat are made of laminated panels with high resistance to temperature and humidity. 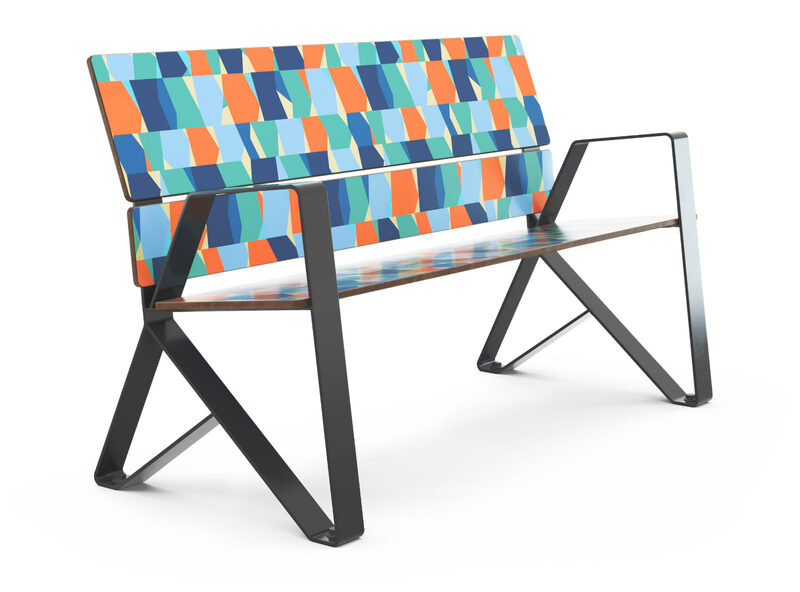 Anything can be printed on the panels which makes them a very functional and modern material.